Forex candlestick strategies are very famous on the net we have a lot of sources to learn forex candlestick patterns but because the forex brokers server times are different the candle shapes are different sometimes, anyhow this is not very important for us to analyze market. 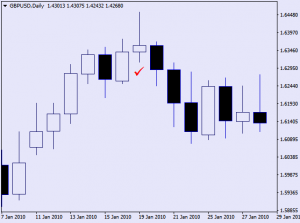 I believe that the best time frames for candlestick analysis are H4 D1 and W1 here I want to teach you some simple strategy to earn profit by analyzing forex market by candlestick shapes. As you know the forex technical analyzers try to predict forex market by understanding market condition according to the mathematic formula and chart shapes but sometimes there is psychological and sociological reason to buy or sell on forex market in fact I mean when you are looking the chart shape or market movement you can understand the traders’ behavior it will help you to open good positions. As you know forex market is buyers and sellers ware! 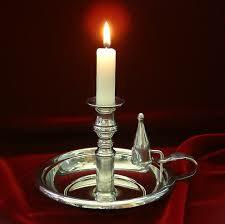 When we see some candle like this shape with long shadow and short body what does it mean? It means that the buyers wins against the sellers at the first but at the end sellers were winner. When you look previous candles there is only one bullish candle then and now we found 2 reasons to think about new down trend because after 7 days up trend seller wins against buyers it means buyer goes weak. You can see up line (resistance) trend broken and then market goes up. You should know that when market trend is powerful these kind of candles can’t show us correct signal but when market is not powerful this strategy is useful. Try to find good forex signal with candles pattern.